In this article, we are looking at the various career options for Health Coaches for both experienced and new coaches transitioning from other fields. There are many factors that may have piqued your curiosity in Health Coaching. Perhaps you’re a social worker or nurse and interested in a career change, or a life coach who would like to focus strictly on helping people with their health, or a therapist who wants to support people in a non-clinical setting. Maybe you’re none of these! Wherever you’re coming from, a career as a Health Coach can be an exciting and rewarding endeavor. Not only are you helping others create a better life through whole-person health, but you’re also creating a flexible and fulfilling life for yourself. Of course, you’ll need to feel confident that this would be a career that has a good outlook for the long term. Let’s take a balanced look at what exactly Health Coaching entails, and you can decide whether this career path is the right choice for you! At its heart, Health Coaching is partnering, listening, and guiding clients to better health using a holistic, or whole-person, approach. Health coaches care about all aspects of their clients’ lives: emotional, nutritional, physical, spiritual, environmental, and more – and actively listen to dial-in to the core issues affecting them in these areas. For example, if a client is having trouble maintaining a healthy weight, a Health Coach might help the client to uncover variable that are sabotaging their efforts. For example, they might discover that the client has a large family and finds it difficult to create healthy meals while pleasing everyone in the home. A Health Coach could then encourage them to make smaller changes to their meal prep, and help them develop new routines around grocery shopping. Health coaches work collaboratively with clients to make concrete plans of action and check in often to see how they are doing with implementing them. For this reason, a Health Coach can constantly evolve with their client to create lasting change. They may also be able to help when other options have not. Health coaches understand that what works for one person doesn’t always work for every person, and they are inclusive of western and non-western modalities in their works with clients. Now, Health Coaches are not a replacement for medical practitioners. Every profession has its place in improving the quality of their patients’ lives, and Health Coaches can provide new perspectives to health and wellness, where other methods may not have been successful. You may have heard or read things about Health Coaches in your research, or from friends, family, or that person at a networking event. Let’s clear up a few misconceptions about the industry! Do I have to know everything about medical conditions? You don’t actually need to know everything about health and wellness to be a Health Coach. In most cases, you already have a great deal of knowledge in your profession and skills that would make you an effective health coach. Health Coaching is not necessarily about how much you know, but how able you are to support, partner with, and guide your clients on their goals. The Health Coach is not the person providing all of the answers, but guiding clients to find their own. Now, that being said; if you are a mental health or other healthcare professional you likely have a wealth of knowledge that would lend to effective coaching. But remember that as a Health Coach you are practicing within a completely different scope. The goal of coaching is not to “know it all,” but to elicit the change in your clients to help them meet their goals. This means asking the right questions, treating the person holistically, and helping them come to a plan of action that works for them. Collaboration is a built-in part of our Health Coaching process. A Health Coach should never replace a medical doctor or other practitioners, but working with a Health Coach can often bring together a holistic plan of action that includes a treatment plan from a client’s other providers. Health coaches work with clients – and their medical providers – to develop plans for lasting, healthy behavior change. The average physician is spending less than 20 minutes with each patient, and Health Coaches can help extend the plan developed at these brief office visits to an actionable plan in the client’s day-to-day life, supporting the client in implementing the changes. So, Health Coaches may be an extension to a primary care physician, registered dietician, or other providers who support clients. What if a client problem is outside my scope? In most helping professions – such as Nursing, Social Work, or Counseling – there are ethical guidelines that emphasize only working within your scope of practice. Health coaching is a profession that is still under development and there is no central regulatory body in this field. However, Health Coaches should also only practice within their scope. For instance, Health Coaches may not provide individualized plans on nutrition or other health interventions. And when a client’s issues are beyond your scope as a Health Coach, it’s time to refer. Referrals can and will be a part of that plan, but your clients will come to you because you see them as a whole, and you give guidance on their journey. Will I only see clients one on one? A common vision for Health Coaches just starting out is that you’ll only work with clients in a one-on-one format. While this is likely, it’s not the only option. Health coaches can also provide group coaching, host wellness workshops, create online challenges, and more. They can provide services to corporate clients to bolster employee wellness. There are numerous career options for Health Coaches to put their skills to use. Growing your Health Coaching business can naturally lead to conducting in-person or online workshops. Whether your specialty is mental health, weight loss, nutrition, gut health or another area, speaking around your topics can be a rewarding career option. The sky is the limit when it comes to creating workshops yourself, or you can participate in group workshops as a member of a wellness team. If you enjoy working in corporate settings or with groups, corporate wellness might be a great path to launch your health coaching career. Many companies are looking to bring in services to support their employee wellness initiatives. And some companies will hire contractors to supplement existing employee benefits. In addition to offering workshops, challenges, or individual coaching, Corporate Health Coaches can customize programs for these workplaces making their services even more individualized. Write for blogs, publications, and companies on topics you’ve come across as a Health Coach. Positioning yourself as an authority on the topic will get you paid writing jobs in the health and wellness industry, as well as drive traffic to your own business. Who Can Become a Health Coach? Anyone with the drive and determination can learn the skills necessary to become a Health Coach; however, some professions are well suited to the transition. Nurses, Registered Dieticians, Social Workers, those in fitness related careers, and psychology-related careers, are just a few groups that are well-poised to start their own coaching business. Those with prior health specialty skills can extend their passion for helping and caring for people into a holistic approach to addressing health issues and support their clients in making healthy lifestyle changes. How Do I Find Work as a Health Coach? 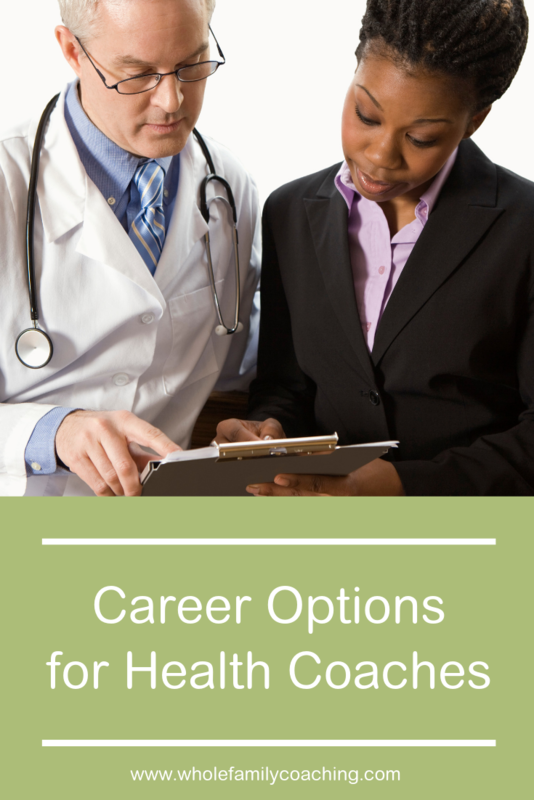 There are several ways to make the transition to a Health Coaching career. One option is to find employment as a Health Coach, working for a wellness company, a hospital or an insurance company. Another option is to start your own Health Coaching business. Either option can be a rewarding career path for someone who enjoys and is dedicating to supporting other people to be healthy. Primary care providers are seeking out Health Coaches to overcome their chronic short appointment times. Having a coach on staff who can collaborate with them, meet with their patients, and help foster healthy habits is becoming an essential resource. Corporate companies are also actively recruiting Health Coaches and corporate wellness firms to help their employees get and stay healthy, and therefore more productive. Gyms and other fitness industry locations also look for Health Coaches to be part of their overall team, to help encourage clients to create healthy habits when outside of the gym. Of course, virtual Health Coaches are exploding, and able to reach many clients at once, from the comfort of their own homes. Now that you know what Health Coaches do, how do you know if it’s right for you? Consider your current career: do you feel like you’ve gone as far as you can or want to go? Do you have a passion for helping your clients? Do you find yourself asking your clients questions, and taking their whole being into account when creating care plans? Would you like a more flexible career? If so, a career in Health Coaching might be a great fit for you. Not only will you get to use your knowledge and expertise to help your clients, but you can also expand and share that knowledge in other ways and using other platforms. 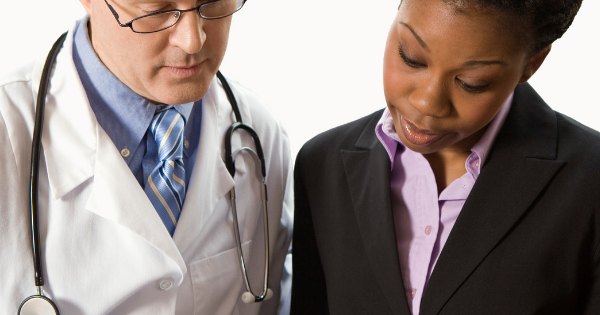 As we’ve discussed, your prior experience in the medical field positions you well to be a Health Coach. A great way to set yourself apart as a Health Coach and prove your professional ability is to become certified. Currently, there is no one regulatory body in Health Coaching, but certification through an agency like International Consortium of Health and Wellness Coaches (ICHWC) and the National Society of Health Coaches (NSHC) may be helpful. These certifications are recognized by many employers and are worth looking into to evaluate if they would be beneficial in growing your skills and credentials. Health coaching is an integrative career. Your prior skills and drive to treat the whole person are foundational for helping foster good health in your clients. There are many options you can take and endless places you can end up, but in the end, you will be out there helping change people in the most effective way. Becoming a Health Coach is a rewarding way to make an impact with one client (or group) at a time while creating a balanced life for yourself.